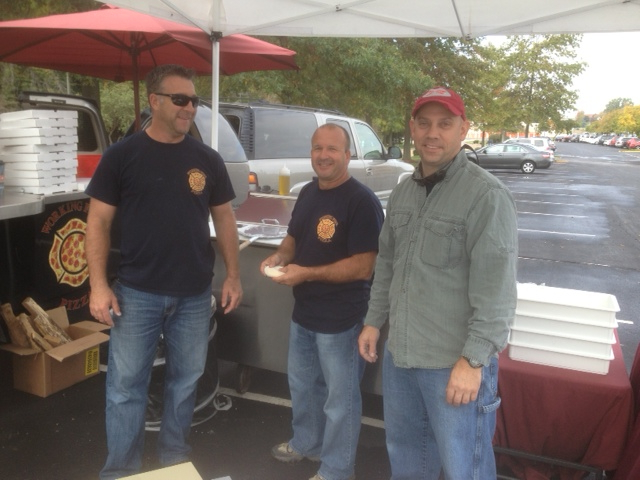 Below are some photos from last Sunday’s Harvest Festival presented by Sauce magazine at Laumeier Park. 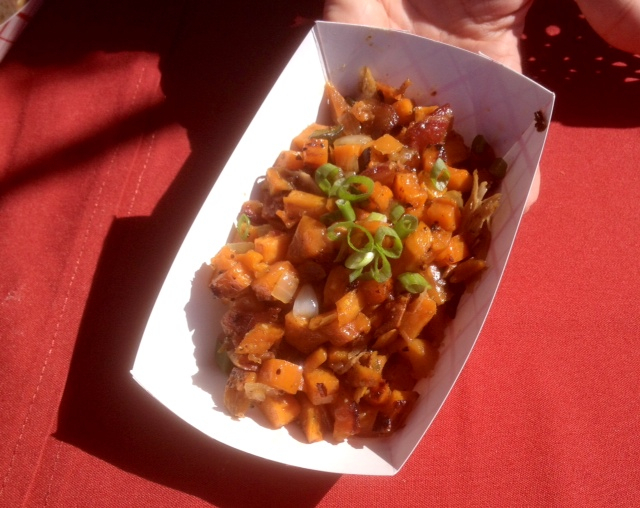 The Sweet Potato Hash from Alumni had bits of duck and bacon mixed in. 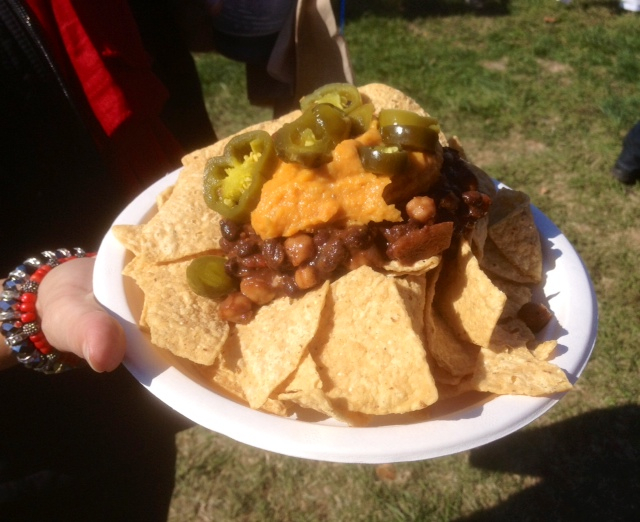 Delicious and colorful for fall! 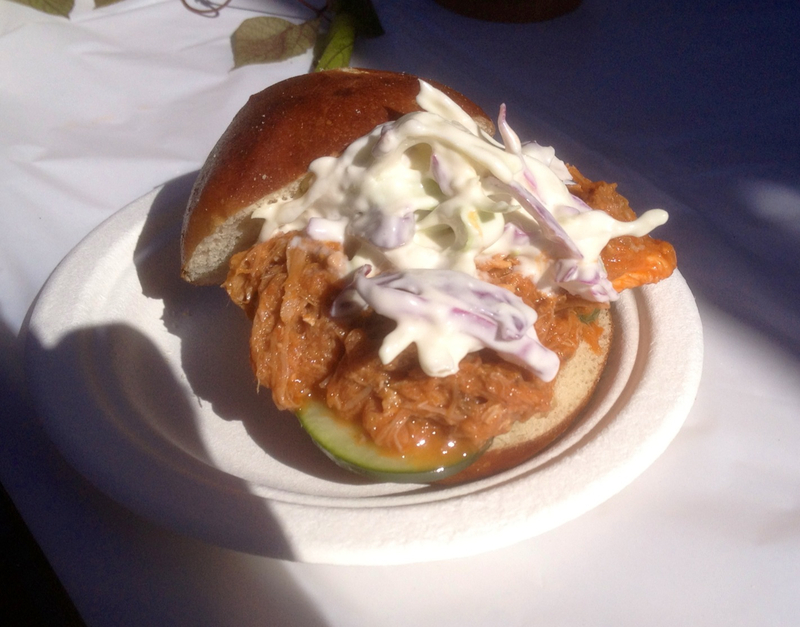 The Pulled Pork Sandwich with Slaw on a Pretzel Bun from Cleveland-Heath was a crowd favorite. 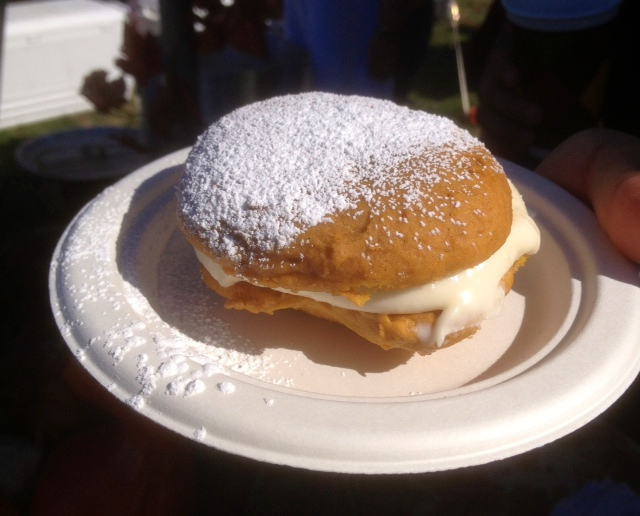 1111 Mississippi brought a tasty Pumpkin Whoopie Pie with Cream Cheese Filling. Yum! 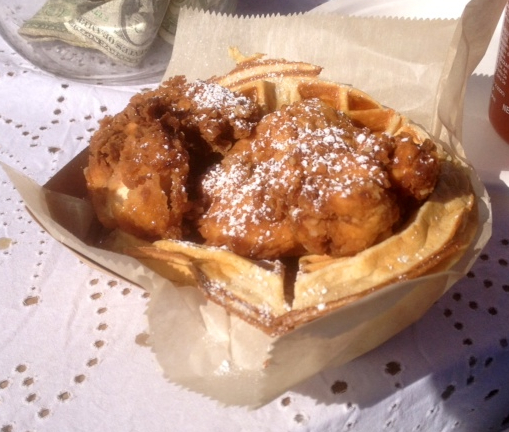 Local Harvest also served up Chicken and Waffles. 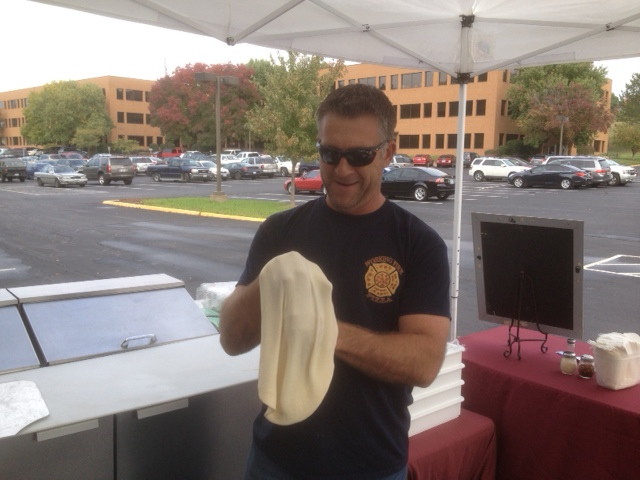 Great weather, a great venue and great food and drink (plus some good music) made for a nice fall event which, based on what I saw and heard, was a big success. And big fun! 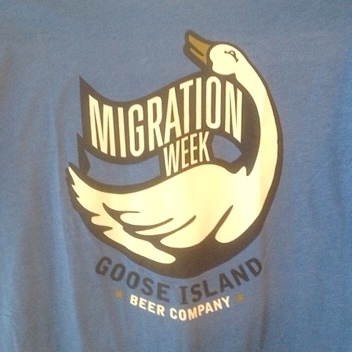 Goose Island Migration Week is underway in St. Louis. The Chicago based craft brewer is bringing its beer and its people to town to meet local beer drinkers and share some special brews. 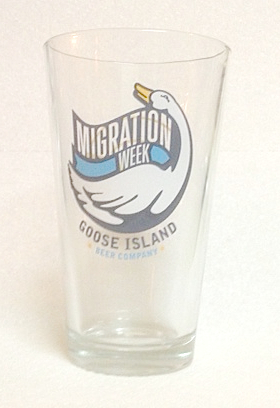 A schedule of Goose Island Migration Week events is posted below. 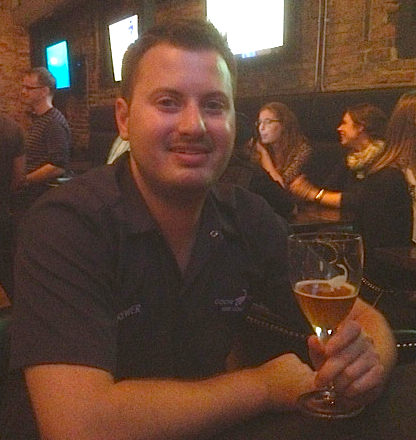 Goose Island Tap Invasion – Wednesday, October 16, 6:00 p.m. – 9:00 p.m.
Beer Geek Tap Invasion – Wednesday, Oct. 16, 7:00 p.m. – 8:30 p.m. 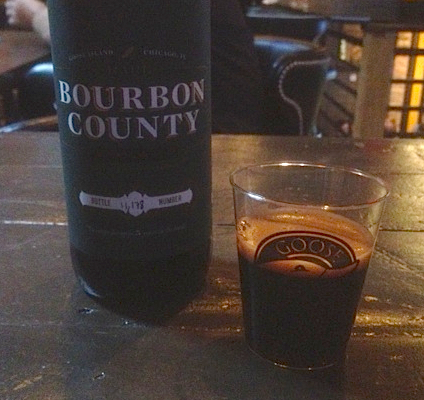 Goose Island Tap Takeover – Thursday, October 17, 6:00 p.m. to 8 p.m.
Did anybody from St. Louis make the list? Sadly, no. Crown Candy Kitchen turns 100 this year and it’s apparent that the author and his editors assembled the lineup of one hundred eateries before 2013 began. It is admirable that Rick Browne included funky joints in out-of-the-way places along with classy establishments in large cities. M & M Cigar Store in Butte, Montana and Hudson’s Hamburgers in Coeur D’Alene, Idaho are included along with Peter Luger Steakhouse in Brooklyn and Columbia in Ybor City (Tampa-St. Pete metro), Florida. 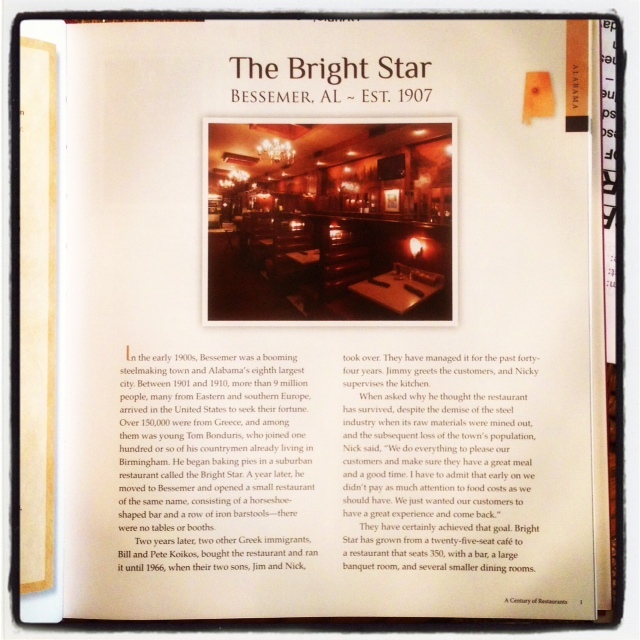 I have dined at two of the featured restaurants, Antoine’s in New Orleans and The Bright Star in Bessemer, Alabama. In fact, my wife and I threw a 50th anniversary party for my parents at The Bright Star. The book is leans a bit to the northeast in its choices, mainly because that is the oldest part of the U.S. 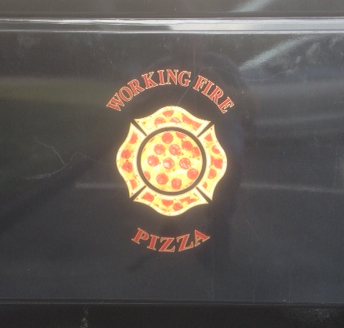 The state of New York has 12 restaurants, Massachusetts has 8 and Pennsylvania has 6. 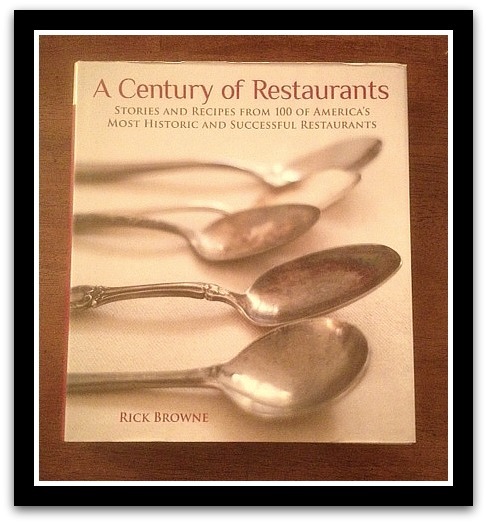 When thumbing through A Century of Restaurants, I thought of the country song recorded by Hank Snow, Asleep at the Wheel and Johnny Cash called I’ve Been Everywhere (click title to hear it). Rick Browne has been everywhere, even to Winnemucca, Nevada (made semi-famous by the song) to spotlight The Martin Hotel. A Century of Restaurants has gorgeous photos—Mr. Browne takes great pics to go with his words—along with recipes that look amazing. If you love food and travel, get this book! List price is 40.00. Amazon has it for 24.00, with a Kindle version for 7.99. Available 10/15/13. I spoke to Lou this week and invite you to listen to our conversation. 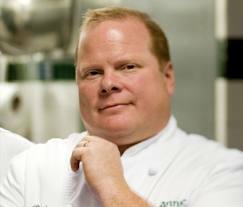 In the first segment (3:23), he talks about the other Lou Rooks, Annie Gunn’s restaurant, the ’93 flood and what’s changed (and what hasn’t) during his two decades running the kitchen. In the second segment (5:47), Lou talks about the event on 10/17 and about putting together his cookbook. In the third segment (6:55), he talks more about the cookbook, teaching cooking and his typical day at Annie Gunn’s. 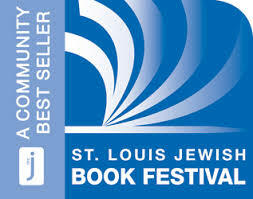 Click HERE for a link to the Jewish Book Festival website. Click HERE to order tickets for the Lou Rook III event on October 17. 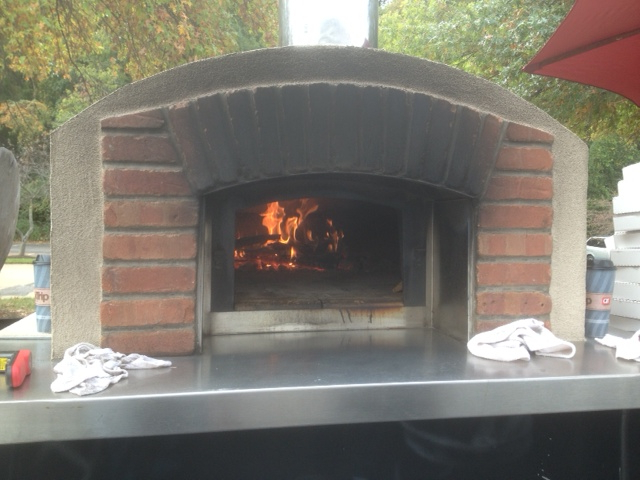 Click HERE for the Annie Gunn’s restaurant website.